In the Judge/Cole household we are getting into the crazy birthday season, a total of 7 birthdays in less than 3 weeks. The first one was Gary’s twin girls who turned 7 earlier in the week, so I have recently been scouring the web looking for birthday cake ideas. 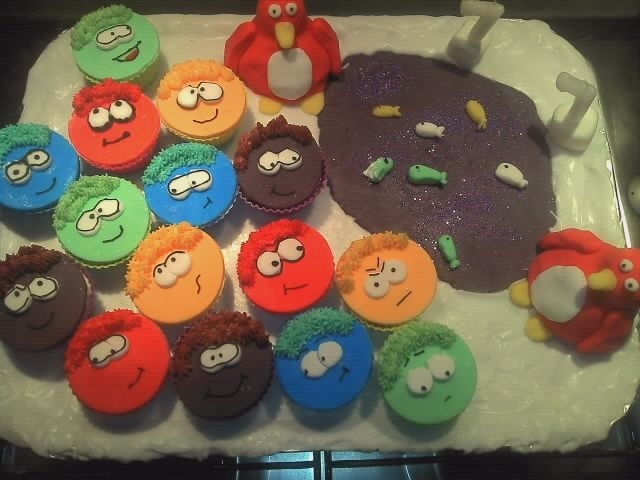 I came across The Pink Whisk‘s blog sometime ago and after look through I came across her How to post on Puffle Cupcakes. Great idea I thought as the twins absolutely love Club Penguin. It took me two solid evenings to decorate 15 Puffles and make the scenery and compared to the Pink Whisk’s instructions I cheated alot. Erin and Piper really loved their birthday cake so all the hard work was worth it. 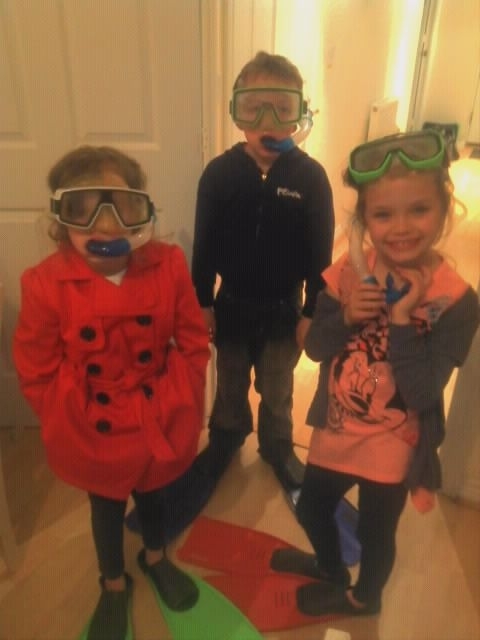 After dinner and plenty of cake was consumed, Erin, Piper and Deaghlan decided to partake in a spot of indoor snorkelling as you do!! This entry was posted in Cakes, Family. Bookmark the permalink.